I would like to thank you for visiting my website. I consider it an honor to care for our patients in need of hip, shoulder, knee surgery and care in Richmond VA and surrounding areas. My team has developed a working relationship to provide optimal patient care. I see my role in patient care as both an educator and as a treating physician to offer you the best possible medical and surgical care available. My role as an orthopaedic surgeon is to expand and educate our community to include orthopaedic nurses, giving them the ability to advance their current knowledge and techniques and put them on the cutting edge of future orthopedic advancements. 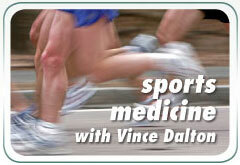 We specialize in anterior hip replacement and sports medicine injuries. You are invited to review my website and gain further insight into the services provided by me and my staff. We suggest you use this site as a learning resource for our patients and referring physicians.